These two letters were written from Camp Dubois in Anna, Illinois by 26 year-old George W. Coleman (1835-Aft1911), a sergeant in Company A, 63rd Illinois Infantry. He served from 1 December 1861 to 18 July 1862 before he was discharged for disability. 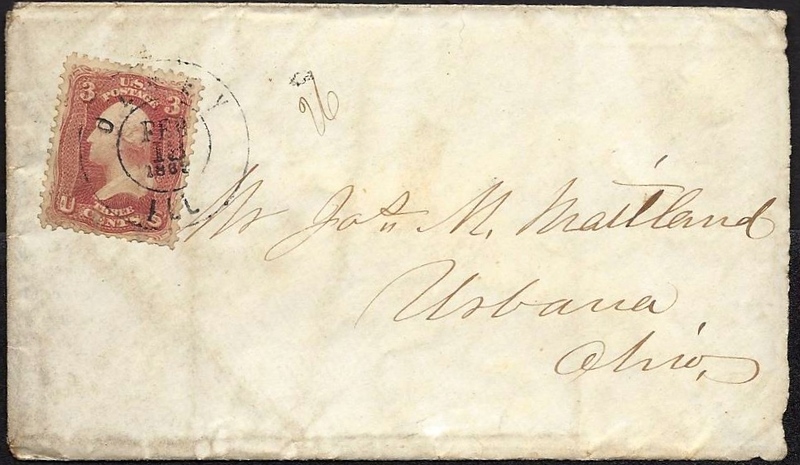 Company A was not actually mustered into service until 10 April 1862 — almost a month after this letter was written. Upon entering the service he gave his residence as Olney, Richland County, Illinois. After the war he became a clergyman and relocated to Elk County, Kansas. George was the son of Richard Coleman (1810-1894) and Magdalena Mast (1811-1887). He took Ruhaa A. Gibson as his first wife and Sallie Runyon as his second. 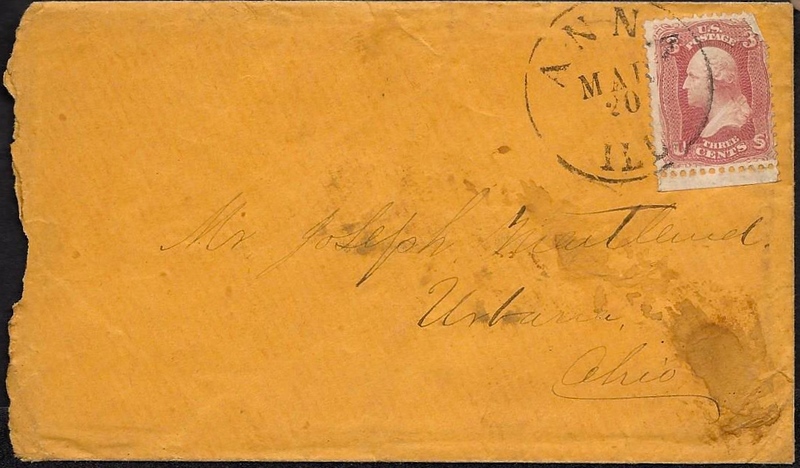 George wrote the letters to his cousin, Joseph Mast Maitland (1839-1918), the son of Joseph Madison Maitland (1815-1864) of Urbana, Ohio. Joseph was a pro-Union Democrat who held the office of County Clerk in Urbana for a number of years. 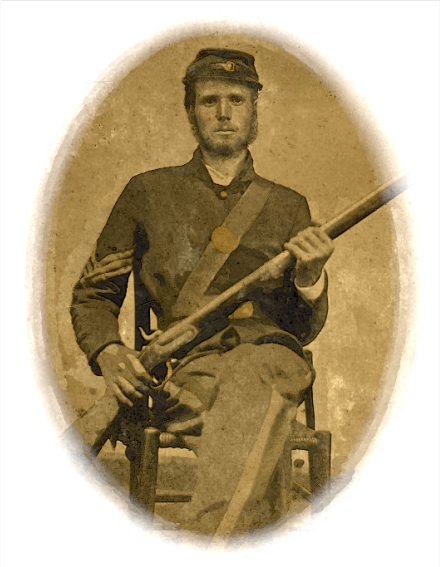 He enlisted for three years service in Company G, 95th Ohio Volunteer Infantry. It may surprise you to receive a letter from me dated in a camp, but much as it may surprise you, it is nevertheless true that I am now a soldier connected with the “Kentuck” Brigade quartered at Anna, Illinois about 1½ mile from Jonesboro on the Central Illinois Railroad. There is now between 2 & 3 thousand men in camp. 4 thousand is requisite to fill the Brigade. I do not know for certain yet whether I will be Orderly Sergeant or Second Lieutenant. Quite a number of the boys are very anxious that I run for Lieutenancy. I do not know whether I will do so or not as the position was promised before I came to the state but I will go if I must take the position of private in rear rank for I regard it as a duty & I should dislike very much to be called a coward when this infamous rebellion is put down. Joseph, I wish you were here to go with me. I am satisfied you could obtain a good position. Our company is not quite full yet. We will soon have enough to organize, however. The boys make so much noise I can write only with much difficulty. I am now in charge of the company. The captain is recruiting. I will write again soon. Give my love to all. Pray for me. write as soon as you get this. Direct to Camp Dubois, Anna, Illinois. Care of Capt. [Henry] Glaze. In order to answer your favor, I now embrace a few moments. I am yet in camp at this place & do not know when I shall leave. Our company is doing well. We number 77 in camp & more than enough are sworn to fill the company to 100. Quite a number of the boys have the measles & also a number have the mumps, but none are dangerous. We have none in the hospital. The boys detest the place. It is generally filthy. On yesterday one of our men was arrested for forgery & confined in town in a hotel. I was appointed by the Colonel to attend to guarding him. I accordingly detailed 6 men, formed them into 3 reliefs, put two on at a time with muskets to guard the room & relieved them every 2 hours alternately. The weather is quite warm & comfortable here now — the roads solid & pleasant under foot. About half mile from camp is a very large cave. A great many soldiers have been down to visit it. I have not been there as yet. Also about 2 miles from camp there is a cedar swamp. Thousands of bushes have already been dug up & sent off for ornamental shrubbery. I think I shall send some home in a few days. If you see any of my folks, please let them read this. I must close as drill is here. It is 2 o’clock P.M. I drill the company altogether from 10 A.M. until 12 M. in forenoon & 2 P.M. until 4 P.M. If you see any of my friends about Concord [Township], give them my respects. Now, Joseph, write soon & give me all the news. Let me know whether you are teaching yet or not. I wish you would pay me a visit. I think we could make it pay. It is but a short distance — only 32 miles to Cairo & 20 to Cape Girardeau. I will take you around. It would be worth at least $100.00 dollars & would only cost one half of it. Give my love to your father, mother & Gries. This entry was posted on Monday, September 15th, 2014 at 3:37 pm	and posted in Uncategorized. You can follow any responses to this entry through the RSS 2.0 feed.